In this interview, I had the opportunity to actually sit with Go and converse with him. 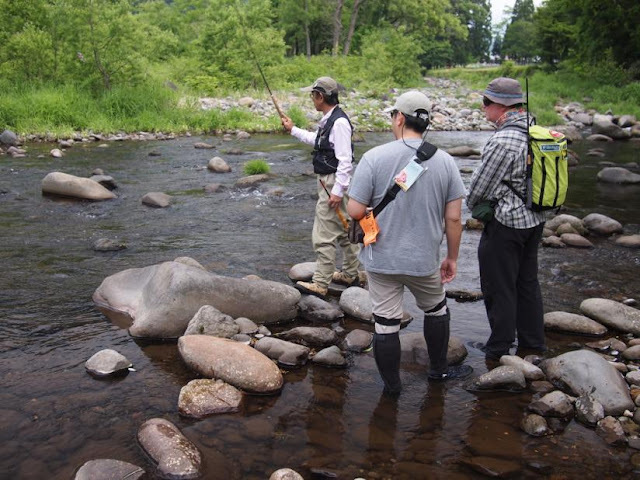 I was on a visit to Japan with my fly fishing friend Satoshi Miwa. He took me to see Masami Sakakibara and that is where I meet Go, he is a part of Team Oni. Now that I have been invited to be a part of Team Oni, I am indebted to Go for his part in helping me translate with the Master. But more importantly, Go is a very experienced Tenkara angler on his own. He has traveled and lived in America and Japan. You may not know it but you already have learned from Go about Tenkara in Japan. During my stay in Japan, I also had the opportunity to spend another day with Go in and around Tokyo as we shopped in Shibuya at Sansui and Joshuaya. As we buzzed around the city, I spoke with Go about various topics. That is where I asked him to sit for this interview. I wanted to get a little bit more information from him before I started to generate the questions that I wanted to ask. So without any further introduction, I would like to start the interview. Adam: Go, I am relatively new to Tenkara. I’ve been at it four years now with a long specialized background of small stream fly-fishing. I am really enjoying Tenkara and much of my stream fly-fishing experiences help. My recent trip to Japan fishing headwaters to the mainstream in different mountain valleys has made me realize just how diverse the fishing is in Japan. 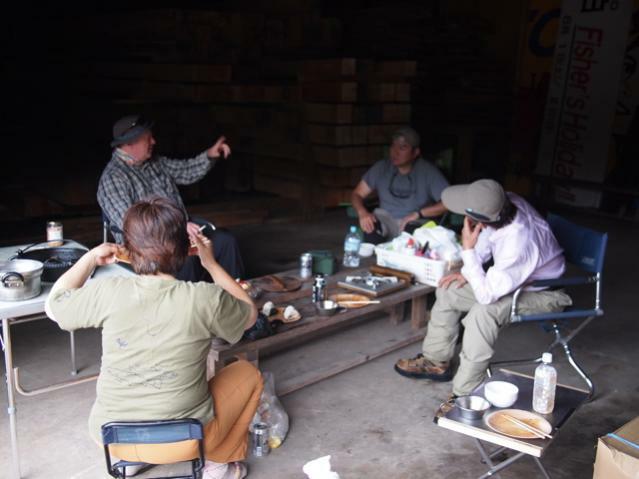 After fishing with Miwa-san and then his friend Nahuji-san, Japanese anglers are keen, savvy to fishing the mountains. I thought Americans were experts until I meet a few Japanese anglers and fished with them. Now I know just how good they are. I knew even before my visit that fishing in Japan was much more common to the people than fishing in America. Japan is primarily mountainous and it is only natural that fishing the streams in the mountains, the Japanese would specialize in it. Go: Thank you Adam. Well I can only speak from seeing how anglers fish Tenkara outside Japan on the Internet. I’d spent some 20 years living in the US and never fished Tenkara over there so my knowledge is limited and I’m going to leave out Tenkara for non-trout species since that is an entirely new and different field I have no experience with. As you know, Tenkara was a technique used to catch trout in mountain streams by professional fishermen. There was imminent need to provide for their families. They did not want to show strangers how they were catching fish with their rig to reduce possible competition. Soseki Yamamoto, a writer/ angler introduced Japanese Kebari-turi (fly fishing) as Tenkara and since then it has become sport fishing for most (There may be few who still catch fish for living part time). I’m not sure if I can point out major differences in US or Japan over how Tenkara is practiced other than history. We have more information and anglers with many years of experience who learned through seeing even more experienced anglers. If anything, it seems there’s quite a bit of western fly fishing influence in American or European Tenkara, but we see a lot of that in Japan as well. People using dry or nymph flies are maybe more common than many think. I personally enjoy fishing Tenkara with more traditional style, but at times I use floatant, because I’ve seen how much it can enhance the experience of Tenkara through seeing how Masami Sakakibara uses it. If I may mention another difference, I think there’s more fish in rivers of North America, Europe or elsewhere. Mountain stream fishing all around, not just Tenkara but also bait fishing, lure fishing and fly fishing have been so popular in Japan in the last 5 decades and our population density is much greater than most other countries. Also, because we’re mountainous country, we have a long history of river related disaster, resulting in excessive development of dams and cement barriers of all sizes even in deepest of the mountains, reducing desirable habitat for trout and others unfortunately. I mentioned earlier about history. We have been fishing Tenkara for centuries and we have elders with long years of experience who can show and teach not only the subtlety in techniques but the knowledge of working with rivers and mountains. I’m sorry to say though, when it comes to conservation/preservation work the Japanese are far behind. You have a much longer history than us when it comes to that. I truly wish for the Japanese (especially the government) to understand the rich wealth of nature soon. Adam: As we fished together in Itoshiro, I watched you. Of course my head was into the lessons I was receiving from Masami, but I kept my attention broad as well. I noticed one of your rods wrapped in tennis grip tape. I know you know what you want in a rod. You have been exposed to many types of Tenkara people, rods and their different actions. Go: To me modern day Tenkara is a sport. It is a great sport because you’re limited to using limited gear. The most ideal tenkara gear is what maximizes your techniques, physicality and imaginations. 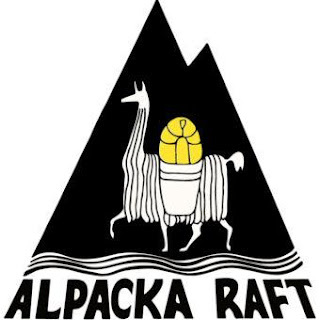 If you’re young, agile and ambitious you can conquer the deepest of the headwaters. If you want to take it easy and pursue slower waters, that is a game on its own. There’s nothing wrong with that. It’s a great game which provides with a piece of mind for every angler away from our hectic life. If you want to rely on one fly only, then that is a game on its own. If you enjoy tying different kinds of flies and selecting a proper fly on that stream that is another game you can enjoy. It is all tenkara, that’s played under the same rule, which is to use a rod, a line and a fly. When it comes to selecting a rod, I’m often disturbed by how poorly designed some rods are on the market in Japan. This goes for other gear as well. Many manufactures do not have full-time or truly dedicated Tenkara anglers with proper experience designing their products, and they are big companies. I know I had lost a lot of money to marketing in search of the gear I want. But after meeting many experienced anglers, I have more information on different rods and most of the time you get to try their rods. That’s helped me save quite a bit of money. If you are a passionate Tenkara angler and if you have fished Tenkara for some years, you realize that there are certain requirements that a good Tenkara rod should fulfill. There are some rods that break easily and those are out of question. In my opinion the most important factor is weight balance. Not the actual weight but how it feels in your hand. To be more precise, the weight you feel when you are casting. So, the way it flexes plays a major part in how it “feels” in your hand. The rod should flex out gradually from the grip to the tip, absorbing its movement gradually towards rod tip without unnecessary give. The second important factor is strength. Usually when the weight balance is off, you’ll have problems with the strength also. If there’s too much play in the mid-section of the rod, it is hard to cast with accuracy but also awfully hard to land a large fish. In my experience most 50/50 and soft 60/40 action rods belong to this category. When you’re fishing with a reel, you can control and direct the fish with the excess line to some degree, but with Tenkara your line is attached to the tip of your rod and if a big fish takes it downstream, you’re going down with him. It is an aspect of Tenkara that I love, the forced mobility. Going back to what I was talking about, a good rod should help you direct the fish to where you want it to go. As you fight the fish down the river you find an ideal spot to land the big fish and your rod should be able to help you guide the fish to that spot. These types of rods would also help you cast with the very tip with great accuracy and also with its entire length for a long (full-length) cast. 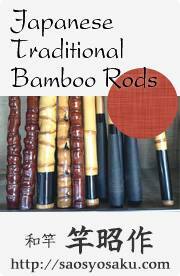 These rods are well-balanced and well-made with good core strength. My favorite Tenkara rod is the “Oni Rod.” It wasn’t designed and developed by a great angler with over 35 years of experience for nothing. They are made in very small lots and most of the time you have to wait a long time to acquire one so I save mine for special occasions. You mentioned tennis grip. There is a lot of vibration and shock absorbed in your wrist when you play tennis, and there’s a lot of friction in the gripping hand. Tennis grips are designed to reduce those shocks as well as friction in the hand and I thought it could be used for Tenkara rods. It does change weight balance significantly so I do not recommend it unless it produces better results but the rod I use the most is not a Tenkara rod. It is called “Rinfu 45 SR” made by Daiwa. A great light weight, well balanced rod that casts great with appropriate power. With its length it felt slightly top heavy when purchased and the handle on Rinfu is too skinny. So I wrapped tennis grip (wet type) which helped fix the balance issue and I love how comfortable it feels. Another wonderful thing about tennis grips is that you can unwrap and exchange to a new one when it gets worn out. Adam: I’ve had the wonderful opportunity to be introduced to some finely constructed tapered (furled) lines by a Japanese Tenkara fisher. At the point of introduction, I was already deep into realizing that I really liked level lines. Tapered lines were the antithesis of what I wanted in a line, to suspend off the water. I want to be able to cast the kebari far and fine and to keep the line off the water. Since that initial introduction, I had an American Tenkara fisher offer to make me a tapered line. His reputation of making lines preceded him so I told him what I wanted and he made one for me. I got it and it actually looked like the Japanese lines that I had been given. It turns out that Eiji Yamakawa, the person that introduced this type of line to me, taught him. Tapered lines can suspend to a degree but for the most part, they cast wonderfully and are very accurate if properly constructed. The weight of the line allows a heavier rod to be used or a longer line. These tapered lines have worked their way back into my quiver but I am primarily a level line user. I have always been amazed that we can cast such a thin line as a single strand of light monofilament. With the tapered line, I can cast farther, much in the way of a western fly rod but still very stealthy. Go: Back in the days when professional anglers were using bamboo rods, they used horse tail braided lines, silk lines soaked with tree sap then dried, or whatever line they could make in their region. Furled lines/taper lines reflect the history because of the weight, length restriction and the effort it takes to make one. Today we have more variety of lines available and I use level lines of size 3 or smaller and that’s all. The wonderful traits of level line are its light weight and the ability to “straighten out”. I believe that is what has modernized Tenkara and made Tenkara that we know of today. 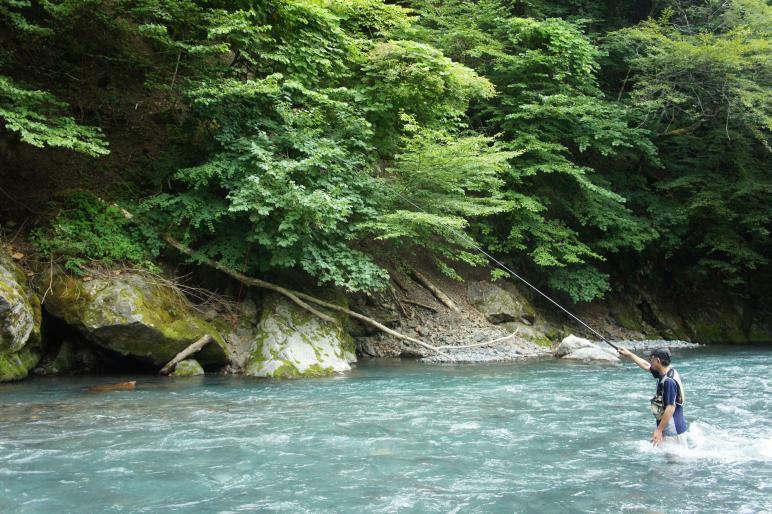 The significance of Tenkara is its ability to keep most of its line off the water. For me it is fun to cast with a taper line or furled line every now and then but I personally can’t think of an occasion where I would use anything but a level line for Tenkara in mountain stream fishing. There’s one thing I’d like all to try when testing a new line other than seeing “how it casts”. Cut one level line to a length, and match the length with a taper or furled line (or other way around). Use the same rod and cast each rig onto still water to the same target/distance and see the speed of each line coming back towards your rod. This is the speed of the “drag” back towards your rod. You can try this to test one line from another even with level lines of the same size between different makers. Even with the same diameter, there may be slight weight difference due to differences in “recipe” of the lines. The less drag you have, the more time your fly will stay in that “zone” or “seam” in a current, which will increase the chances of a successful bite by a fish. In my experience level lines between # 2 and #3 are the most practical lines to cast with in different conditions while minimizing the “drag”. If I may point out another positive factor about level lines, it is an economic one. You can cut to shorten the line if you want to while fishing, and if you want a longer line, you can connect another piece on spot or just start a new rig. If you manage the line properly the same line last a long time. Please don’t get me wrong though. Taper or furled lines are very neat and casting one is an experience. I do recommend everyone to try or have one but I just don’t think it’ll be my primary choice of line for mountain streams. Adam: You gave me a couple of your kebari too. I have them in a box with Masami, Ishigaki, Galhardo and a couple of American anglers. I find it a very important study, to have authentic flys from the experienced anglers to compare and contrast. Although the fly is less and less important for me as time goes, the skill in tying it becomes more desirable. I believe tying one’s own kebari is a quick way to advance your skills without cutting corners. Part of the fishing experience is to figure out which fly you will use, which one will work in conjunction with presentation, your movement, your sasoi in order to make the fish strike it. Go: It is the forever mystery. “Which fly produces the best results?” For me the fun in Tenkara is getting more out of limitations and I do keep my lies rather simple. One thing should be answered first though; yes one should tie his/her fly to maximize the experience of Tenkara. It is such a learning experience and that is another reason why I think anglers should try tying different kinds of flies especially in the beginning. After so many years of experience, you may settle with several or even one kind of fly. But why set limitations when you’re still learning? What I mean by that is there is so much you can learn in terms of techniques and fish behavior from trying different kinds of flies. Even putting on an extra layer of hackle will change how a fly drifts, floats, or sinks. There are days and time when fish are focused on surface and that’s only where they bite. And there are other days when the fly has to be submerged even just quarter of an inch for a fish to respond. On a group outing you see guys around you fish with #12 flies or smaller and not do so well, and as soon as you cast with a #6 fly you get a nice fish. This sort of things has happened time after time again. Sometimes you tie a fly and you think it looks great! Then you take it out on a river and you don’t get anything, and end up going back to your old trusted fly. You learn from these things. My favorite patterns vary depending on where and what I’m fishing for. Yamame and Amago are very alert, agile and where they like to position is usually different from Iwana. Iwana are a little slower and I find them easier to catch and rainbows are much more aggressive than our domestic trout. So I use several patterns in variation of sizes designed for different presentations and it may be too much to talk about here. What dictates which fly you end up using the most is really up to what, where, how you fish and your prior experiences. I’ve seen anglers in Japan use weighted flies or weight on tippet to sink their flies. You can increase the chances of catching bigger fish since they like to position themselves on the bottom most of the time. I do not do this because for me it takes so much away from the casting experience and trying to reach deeper without weight is a challenge I enjoy. I would convert to lure fishing if I just wanted bigger fish. But it is up to you to design your experience with Tenkara and tying your own fly is step number one towards that. If it is your first, second or third time Tenkara fishing, sure you can use store flies or flies made by others. Catching fish and having a great time out there is the most important thing. Masami Sakakibara, my Tenkara mentor, has taught me many things about flies as well. Mostly by showing me how flies of different sizes should be used. Sometimes he’d put his rod down, sit and watch a fish for 15 minutes. He watches to determine what state the fish’s in. He observes the fish and determines how the fly has to be presented in order for him to take it and in the right timing. So in the end it is definitely more about the knowledge and techniques rather than the fly. Adam: Sitting with Masami, we spoke about my fly choices. I brought one single pattern with me to Japan, it worked very well in some places and not at all in others. I was firmly planted, stuck in the “one fly” lesson and really, not all Tenkara fishing should be one type of presentation. After the talk with Masami, he told me I should relax my restrictions just a little. I really appreciated his advice. It set me free and already I have learned much from his guidance. Go: I have seen anglers talk about Masami on the internet in different forums and such about his casting. He is an amazing caster for sure. But he should be most noted for his knowledge of fish behavior and all-around techniques in mountain stream fishing. Of course you can’t see those things until you’ve fished with him. He’s over 60 years old, and he can walk through rivers, river beds and climb up and down slopes faster than anybody I’ve fished with. The way he maneuvers is totally different from most anglers I’ve seen who are mostly from the city. I’ve been to the location of where he spent his childhood. There’s his old house, in front is a small street, and then there’s the river. It literally is right on a river. He said he spent every day of his youth in and on that river spearing fish, trapping fish, and of course fishing. He was so fascinated with watching fish he even used gas lanterns for lighting and dove to watch life under water at night… every night. So, when Masami is fishing he’s not basing knowledge off a book or the Internet. He “knows” where and how fish like to position at certain times under certain conditions and he’s seen this with his own eyes. It’s all in his database of memory. Speaking of fish behavior, the first thing he taught me was how to walk the rivers. What kind of soil or rocks to place your feet on dry land and how to walk in rivers, mainly for stealth approach. Understanding fish and their defense mechanism is the first step to catching more and bigger fish. Early on he also taught me how not to have the sun on my back (shadow on water) and focusing on placing a fly in the spot on the first cast without any false cast. These are the things we started with. And gradually went on to different casting techniques, presentation, and how to land the fish. It’s a lot of information and I’ve never met anybody who can describe every detail of Tenkara and stream fishing making great sense every step of the way. Just when I thought I could copy the things he does on a river, we go to a different river and it’s like starting all over. He knows the best way to fish in river of all sizes and locations. He changes his gear and approach in different settings and produces better results than others. His versatility in fishing from head of headwaters where the stream is only a few feet wide with a very short rig, to a large main stream with long level line he’s famous for. He is such a complete angler. I’ve fished with Masami well over 100 days now but I feel like I’ve just got my feet wet. Adam: At one point in my life, I was completely dedicated to hang gliding and many of my friends were world class at it. We flew together constantly but their performance often would come out in the light air, the lean times of soaring. It was in these times when the thermals were few and far between that I learned the most from my friends. Go: I may have answered most of the question in previous answers, but I can tell you a story about one day last year, when Masami and I went fishing together to Tōyama River, which he calls “HOME”. It was a day he said he would follow and watch me fish. So he can give me advice as I fished upstream and he put his rod away. Our theme for the day was the order of location or placement of the fly. By then I’d learned to ignore bites of small fish since they fumble and “create a scene” in the spot alerting other fish. I’d also learned how to guide fish out of the spot right away after hooking, so it doesn’t alert other fish in the area. There may be bigger fish in the same hole and you want to be greedy. But there’s always a debate between choosing the prime location first which prioritizes size of fish, or preservation of the area, meaning working from corners. Masami was to help me make better decisions in these situations. Everyone gets really nervous when Masami watches in a one-on-one situation because he’s usually very nice and easy going, but when it comes to Tenkara he turns into an “Oni” (demon). As I nervously made a few casts, he said something like “Why there?” “No! Over there!” I looked back to say “yes, ok!” I saw that he was about 15 feet behind me, giving me enough space to work. So I focused and kept casting, trying to think through, ignoring small rises to my fly, trying to choose my placement of the fly in the best possible order, hoping for a nice pristine Tōyama Amago. Then Masami said “Just a short while. I thought I should give it a closer look but I didn’t want to disturb you so I killed my presence”. I remember shaking my head while trying to catch my breath. With all the loose gravel, rocks, with clothing and gear you’d hear something, but he really “killed his presence”. I think he mentioned something like he controls his breathing when he does this. There’s so much more to Masami’s Tenkara than just casting and luring techniques. Go: I started mountain stream fishing when I was 8 or 9 and tried to pick up Tenkara few years after that. It was too difficult to figure out on my own back then and I started catching tout on Tenkara regularly when I was in college. The biggest change since I started Tenkara is the amount of information. Back when I was trying to pick it up in my youth, it was rarely seen in magazines and very few books on Tenkara was around witch seemed rather unreliable. Then there was an era when whoever wrote a book on Tenkara or made a video was seen as an expert. Today with the internet and abundance of information including images and videos, you really get to study the techniques of different individuals across the world. And there are many great Tenkara anglers out there today. 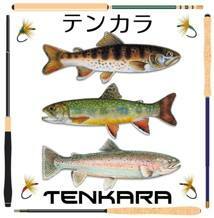 There are also more Tenkara products out as well. Thanks to its grown popularity. 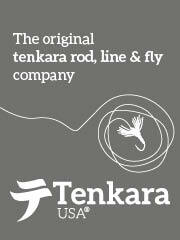 Tenkara anglers in Japan need to show appreciation for all the hard work put into making Tenkara popular outside Japan. Its popularity abroad really helped make a lot of people’s head turn here. It gave many anglers in Japan a chance to appreciate our own culture more than before and the whole angling industry here has been stimulated by it. After all it is the ultimate method of mountain stream fishing and the excitement you get from it may not be available in other kinds of waters. To me the fun in Tenkara is challenging dynamic currents of streams, and it is such an effective way of fishing in those environments. I hope I’m not offending anyone but it is simply my opinion. Where mountain streams exist though, I believe Tenkara will always thrive. There are many well-experienced fly fishermen fishing Tenkara also. With the knowledge and experience of Western Fly Fishing applied to Tenkara along with many dedicated Tenkara anglers, we are for sure to see something great come out of it. Adam: I am hoping that we see more Tenkara schools. It is something that you can proper instruction. I know I have learned more from proper casting instruction. The differences in the technique of what I did and what I do now were so subtle but the performance differences are huge. I thought I had it, I didn’t completely have the cast and I am very experienced! I am wondering if you see another tier of learning. Go: Great question Adam. Often times you don’t realize what you’re really capable of doing until you venture out to different rivers, regions, and meet other anglers. When you come across an angler who is so much more knowledgeable, efficient and effective is when you learn what you’re lacking in yourself as an angler. It is like other sports. You study the best players with their moves, try to copy them and you accumulate your own experience, and eventually come to form a style of your own. I was fortunate to meet many other anglers through my association with Masami. They come from different regions with different backgrounds and there is something to be shared and learned from each of them. They also have the most up-to-date information of different rivers in different regions since they are out literally every weekend and making up the time to meet these guys once a month or two have become an important factor of my fishing. I try to make sure I have information to share with them as well. What I mean by information is weather, water volume, fish conditions, competition of other anglers, trekking rout, parking space, where to enter and exit the river and such. If I were to research these things on my own, I would spend more time on it than fishing. So making your fishing more efficient by surrounding yourself with good people who are good anglers I think will definitely make big improvements on your fishing. Adam: Although I know the hydrodynamics of water, and I know where trout live, I am still learning about how to approach larger streams. How to approach a larger section, how to think ahead so that I am in position to catch them from the third and fourth sections. All of this contributes to our “catch rate” and in catching so many fish, we learn so much more about their behavior. Go: I love fishing in rivers with great water quality, especially in the summer. When it’s hot out, I forget about my waders, put on my gators and get wet to my waist. The water has to be clear enough to make me feel good about being there. I love catching native fish because it makes me feel good that wilderness of Japan can still raise those rare and beautiful fish. I also love powerful and dynamic rivers. They are very challenging to fish in and often times are dangerous, but I really get to experience the force of nature on those rivers. Tōyama River of Shizuoka Prefecture is one of those special rivers. Many anglers have perished in the past trying to conquer this majestic river. Although chances of catching a fish there is slim, many are attracted to it including Masami and other members of Team Oni. The river produces some very unique and magnificent Amago, with over-sized fins and well-developed height of body due to very strong and fast current. Then there are times when I love fishing in very small quiet streams with over-hanging trees that are dark even in mid-day. I’d have to go with a 3 m~3.2 m rod, with a rig matching the length of the rod. In these streams I’m forced to maneuver my cast and make very quiet and delicate presentation on every cast. These streams help you improve your techniques so much. After seeing so many great anglers fish in all sorts of rivers and since I still feel very much like a student of Tenkara, I suppose I enjoy the “diversity” of the environment and techniques of fishing in different kinds of streams. It also gives me a chance to see different parts of my country. Adam: In Japan, I like fishing for Yamame in the pristine mountain headwaters. They seem to fly around in invisible pools and are extremely difficult to catch. My time spent fishing for Yamame was the least productive fishing time I had but it was the most enjoyable. This is where I learned the most on my own. If you are catching Yamame, you are doing well. In America, I am enjoying fishing for different types of trout. I am at about seven different species. Soon I will begin to research the streams in other states for more species of trout. There are several areas to start, two species that I have not caught within a ten-hour drive. One aspect of my fishing is to catch only native and wild (planted but naturally reproducing) trout, to catch them far from the road after a long hike in the forest. Go: There may be more individual differences in preferences rather than nationality when it comes to this question. As I mentioned earlier, I don’t have any experience with Tenkara in the US, so maybe I will give you some examples of anglers here in Japan that I spend a lot time with. Masami: He’s mainly after those “hard to catch” fish. He loves challenging high-pressure streams and tries to catch fish that others can’t. At his age with his experience level, he’s still trying to improve his techniques and further develop his Tenkara in general. It is not the size of fish he’s after but his satisfaction comes from trying to achieve his very high level of standards. 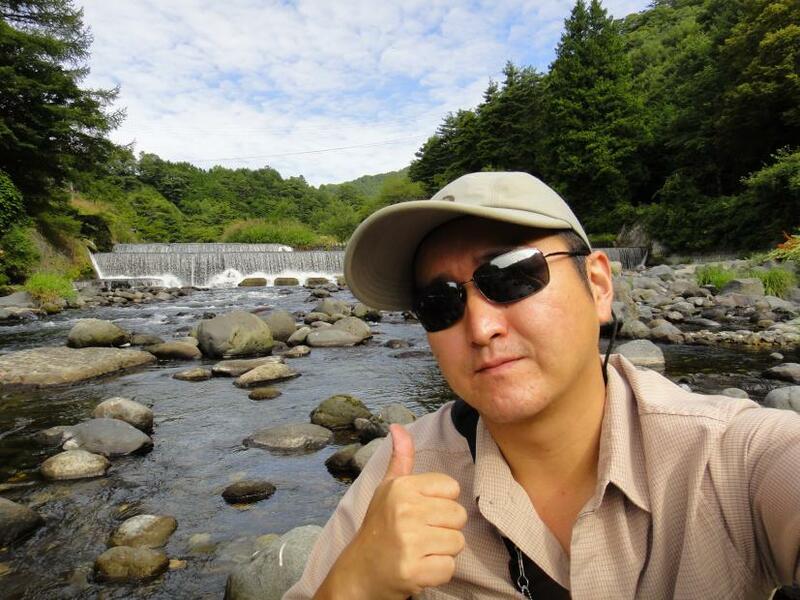 Taka-san: This long time angler drives 6 hours one way every weekend during season to the same river. He’s been doing this for about 7 years now. He’s after a very specific kind of trout; a mainstream Yamame. Like the great Amago of Tōyama River, they are very rare, but grow significantly larger than regular Yamame, with much greater body height, over-size fins with beautiful spawning colors in fall. He uses weighted lines and I know that all that occupies his mind are these special Yamame, and he’s willing to do anything to catch them. Kura-san: He is after development of techniques more than anything like me, but he does it with “nylon level lines”. As you may know, nylon lines are much more difficult to cast with, especially in wind but are much lighter and produce much less drag than fluoro level lines. His ultimate goal seems to become “the most delicate Tenkara angler”. He does catch a lot of fish and I know he’s making some great progress. I know of a few anglers who were haunted by the thought of catching the biggest fish in the river, and converted to lure fishing. Bigger fish tend to prefer bigger and deeper waters and Tenkara certainly has limitations dealing with deep waters. For many other anglers I know, Tenkara may just be a casual hobby. It gives them an excuse to get out of the city and come closer to nature. I’ve met a lot of Tenkara anglers in Japan, and each angler seems to have a different theme, or has his own way of finding fulfillment through fishing Tenkara. Maybe because the gear is so simple, you can bring out individuality more than other methods of fishing. Perhaps that is why I love Tenkara so much. It is up to you to design your style and finding that style may be the endeavor that last a life time. Adam: Go, I must tell you that understanding your position, you are truly helping Tenkara anglers from all over the globe with the things you are doing in the background, from me, I want to thank you. I also want to thank you personally and publicly for helping me learn and share my experiences in Japan, I am hoping that I can help people to learn to teach themselves how to have a long and exciting fishing life fishing Tenkara. Go: Probably as long as I can walk and cast. It’s been many years since I started fishing Tenkara but still feels like I’ve just taken my first few steps in. I also love the mountain streams too much to think about the day I stop visiting them. I am 35 and in rather healthy condition, and I do know that I can’t take that for granted. The greater challenge for me is to balance work, family and Tenkara. I know that the reason why I can devote myself to Tenkara is because I work hard at work and home, to make everyone close in my life feel good about me going away on Tenkara trips. As long as I keep up my performance at work and home, I think I’ll be driving to mountainous regions of Japan for many more seasons to come. Adam: I see myself doing it for a long time, like the rest of my life. My friend Satoshi brought things into perspective. He told me about how many seasons he has left in his life to go fishing. I am 52, I am hoping to fish till I am around 70, that would be 18 more seasons. Not a whole lot of time the way I see it. I have a few friends here in America that are taking Keiryu rods and rigging them to fish for big trout in large rivers. I evaluated a couple and bought one and have a few different lines for it. In my area, the streams I fish Tenkara the most are covered in snow in the winter. This is when I will turn my attention to fishing a large river for big trout. Go: For some anglers their fascination with large fish is greater than preference of a method of fishing. I can understand that. I used to be that way when I was fishing with bait as a kid. Because I’ve experienced it once I don’t feel the urge anymore. Professional fishermen of Japan in the old days were never after big fish. They had to focus on keeping the size of their catch consistent, for selling them to lodges or restaurants. That’s how Tenkara evolved. Today, we have modern gear with more material for flies, and information based on science and technology. We also have the luxury of at least thinking of that bigger fish, or more beautiful fish. That’s enough for me. Because I get more satisfaction from working on my techniques, trying to understand nature, traveling and meeting people. It is about the over-all experience and if I were to go after large fish, I’d probably have to a sacrifice something, and I don’t think I’ll be there any time soon. 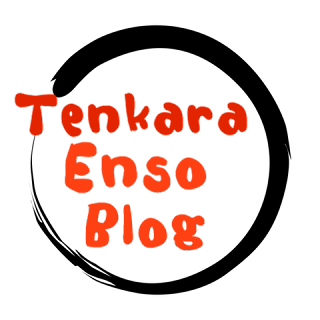 Adam: I am looking forward to the future seasons of Tenkara. I really hope that you visit the USA and I am able to fish with you here. I enjoy sharing my time with people of other cultures, fishing. Go, thank you for your time here. I would like to take this opportunity to offer you to write about anything you wish. Go: Sometimes when I’m out there fishing, I remember myself as a child, trying to figure out how to catch a fish with the Tenkara gear. Sort of like a flash back. Then I feel like a 10 year old again and I know that the face I carry at those moments is completely different from that of me working, living in Tokyo. I really am a 10 year old again at those times. When you came to Itoshiro, I remember seeing you come out of the car. You met Masami then. You seemed a bit nervous at first but by the time you started getting personal lessons from Masami and getting strikes on your fly, I could see the excitement you were experiencing. You turned to look at me and I remember the look on your face. You were just beaming, in all smiles. A wonderful, genuine happy look! I felt like our age difference did not exist anymore. We had just met a few hours before, but it felt like we were 10 year olds having a blast together playing in the river at that moment. That’s the magic Tenkara has for me, and I believe the same goes to a lot of anglers; the same passion across the globe. It is absolutely wonderful. I’m beginning to realize why I love Tenkara so much finally. Maybe it is about the people, more so than the fish. Thank you very much Adam, for this wonderful opportunity and I look forward to your next visit to Japan.